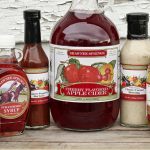 A family owned and operated business since 1828, Shawnee Springs Market operates a cannery specializing in jams, jellies, apple cider, salsa, syrups, pickles, dressings, and sauces. 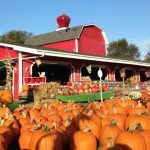 Local produce, specialty products, baked goods, and unique gifts. 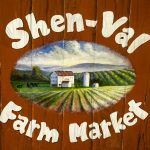 Taste and experience a Shenandoah Valley Farmers Market – offering produce, beef, bakery, flowers, and more. 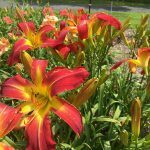 A family owned nursery specializing in daylilies. All lilies sold by the clump; you choose and they dig, tag, and bag. Thumper’s boasts the area’s largest display and selection, with over 30,000 plants. 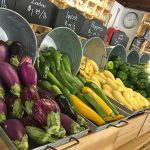 This market sells produce from Spring Valley Farm, a family farm in nearby Hampshire County, WV, with 355 acres of diversified fruits and vegetables. Fifth generation family-owned market with fresh local produce, baked goods, and weekly bluegrass music nights. 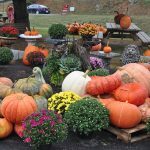 This “fourth generation” open-air market offers fresh local produce and seasonal fruits, baked goods, specialty products and gifts. Enjoy their children’s play area, pet watering station, and public picnic facilities. Family owned and operated year-round market selling fresh, local fruits and vegetables. 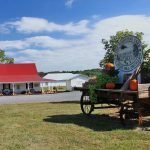 Their second location offers a pumpkin patch and corn maze in the fall.